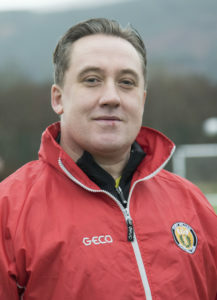 Newly appointed Fort William FC interim manager Russell Macmorran says he is looking forward to making his debut on the touchline this Saturday after his first week in charge of training. 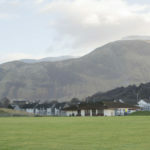 The 42-year-old Glencoe-based police officer took over the reigns at the Lochaber side after the board terminated the contract of Kris Anderson earlier this week. He has been a familiar face at Claggan Park in the last year after he replaced Marie McMillan as club secretary last September. Macmorran has had to wait to make his debut on the Fort’s touchline after Saturday’s fixture with Keith was postponed due to a frozen pitch. He now has the unenviable task of facing title challengers Brora Rangers at Claggan Park this Saturday in his first match as manager. 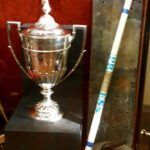 ‘It’s great to take charge of the club albeit on an interim basis,’ Macmorran said. ‘The board considered all the options and I was one of them and that’s what they went with. It’s only an interim period so if anyone comes in between now and the end of the season then I’m happy to step aside. Fort Manager Russell Macmorran. NO F05 MacMorran 02. Photo: Iain Ferguson, alba.photos. The caretaker manager said that, although his experience of coaching senior football is limited, he is in the process of obtaining his coaching badges. Fort William prop up the bottom of the Highland League with just two draws in 23 matches and without a win so far this season. Macmorran will now lead the team into the second half of the season with a goal difference of -149 in the league after conceding 165 goals so far. New interim Fort Manager Russell Macmorran enjoyed his first week of training. NO F05 MacMorran 01. Photo: Iain Ferguson, alba.photos.